As stock car teams, weary from Sunday's rain-marred marathon day-and-night at Chicagoland, head out toward New Hampshire and Round Two of the Sprint Cup playoffs, NASCAR officials continue pounding hard on those yellow legal pads, pondering yet more options. After one of the most momentous, and controversial, weeks in this sport's long history, the game plan has to be not only to fix some of those Richmond 'mistakes' -- like a new restart rule, allowing the second-place runner to beat the leader to the line, as long as the leader has hit the gas to restart -- but to move things on down the line and put all that mess in the rear view. And it looks like revamping the 2014 Cup schedule, a few weeks overdue, remains a curiously on-going project, still a couple of weeks from completion. The 2014 Sprint Cup schedule is being debated behind closed doors, and some quite interesting twists appear on the table at the moment. Just a few weeks ago it looked like NASCAR didn't plan any major, or even minor, changes for 2014. Now, however, word is things have, for some reason, changed. Wonder if there's even more potential horse-trading going on behind the scenes? How might all this affect the balance between the France family tracks and the Bruton Smith tracks? And what might NASCAR's TV partners be saying about any such moves? What might fans be thinking? Of course after all this debate NASCAR might simply decide not to make any changes for 2014. Meanwhile that anticipated Juan Pablo Montoya move to Barney Visser's team, replacing Kurt Busch, could be unraveling. 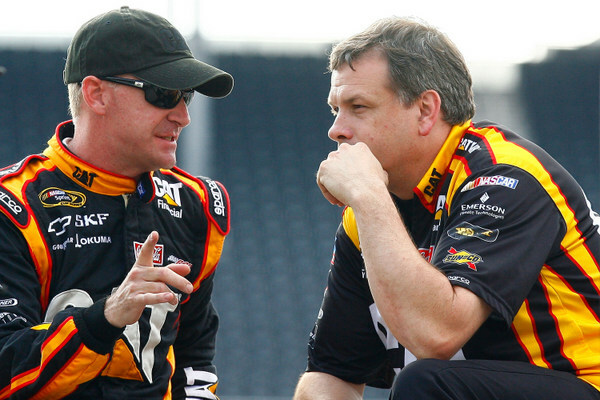 Jeff Burton is now reportedly the leading candidate there. Visser's team has been part of the Richard Childress Chevrolet camp, and Burton and Childress, in an unexpected and still not well explained move, just announced they'd be splitting up at the end of the season after nearly 10 years together. Burton at Visser's would pair Burton again with veteran crew chief Todd Berrier. Busch and Berrier, of course, have a lot on the plate at the moment, having made the chase. Busch, though leaving at the end of the year, showed again he's no lame duck -- overcoming a pit road speeding penalty and a flat tire, plus five hours of rain, to finish fourth in Sunday's Chicago 400. Busch is the first driver on a single-car team to make the chase, now in its 10th season. 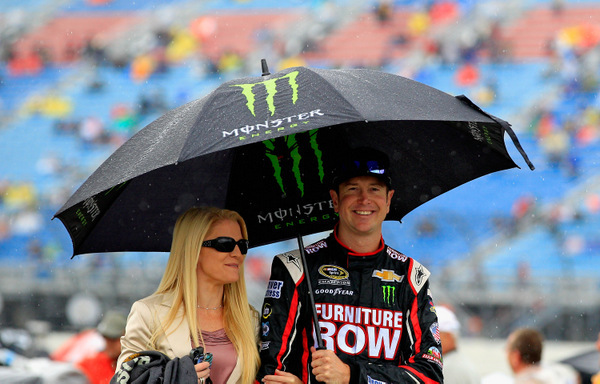 With that third straight top-5, Busch and Berrier have moved up to sixth in the standings. Over the last seven races Busch has finished top-10 seven times...though still winless. It was Busch's best run at the 1-1/2-mile track near Chicago. And it wasn't easy -- that speeding penalty knocked him a lap down. "My green light was on all the way down pit road... not sure what happened," Busch said. "It was costly, and it didn't look good." A good call by Berrier got Busch back on the lead lap. Then he got a lucky break when a tire went down just before a routine pit stop on lap 220 of the 267-lapper. Still, Busch and Berrier will need more speed over the next nine races if they expect to challenge for the title. Busch says they're looking: "We’re like Indiana Jones, we’re not going to be satisfied until we find the Holy Grail." Submitted by Lance on Mon 09/16/2013 - 07:52. Looks like ISC is trying to squeeze more money outta the schedule for them than TRK (Speedway Motorsports). They've always had the upper hand with scheduling. Dumb of ISC to get rid of the traditional Southern 500 on Labor Day, the year they first introduced lights to the track, for Atlanta. The metro Atlanta area made a "killin'" this past Labor Day weekend with the Alabama/Va Tech fball game, the race, plus all kinds of parades and activities all over the city. What was happening in Darlington? Crickets chirping. So much for tradition. Submitted by Lance on Mon 09/16/2013 - 13:45. Juan Pablo Montoya is going IndyCar with Penske next year and Ryan Newman replacing Jeff Burton @RCR, who was supposedly going to Swan Racing, but looking at FRR now w/Berrier? So, what was the "real" reason for leaving RCR? RCR still has a seat left, replacing the Kevin Harvick in the 29 or will Austin Dillon fill that seat. Dillon ain't exactly lightin' the Cup world on fire. Could RCR be down to a "two-man" team with Newman and Paul Menard? Submitted by Brian Cullather on Mon 09/16/2013 - 14:17. I'm curious if the TV partners get a say in scheduling. 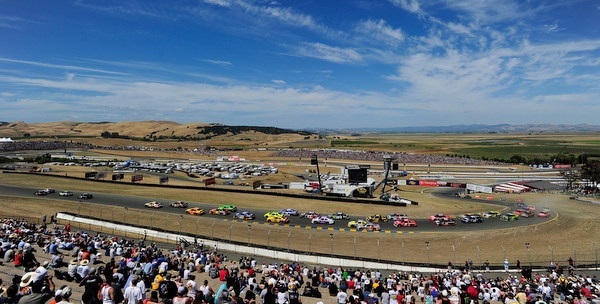 Not that ESPN has much of a stake in it, but would they speak to NBC about chase tracks and day/night events.And don't know how the logistics would work, but the Western tracks should fill the March schedule,with Bristol getting an April date with a much better chance of decent weather. Just my 2 cents. Submitted by Mike Daly on Mon 09/16/2013 - 15:56. To Lance - nowhere did Darlington give reason to keep the Southern 500 in September - if anything the so-called "tradition" faded away after 1989; Darlington became a pain to put up with rather than an icon of the sport. As for the schedule, the way to shoehorn Road America into the schedule is simple - drop the All Star Race. It gives the sport nothing. I know SMI will object and they have reason; replace the All-Star Race with twin qualifiers on Thursday night before the 600 like Charlotte ran decades ago. Dover should not be asked to give up a date. Submitted by wizard of id on Mon 09/16/2013 - 16:29. Here is my replacements for a boring schedule. Replace one of pocono's snoozers with a daytona road race. Replace one of n.h races with a rockingham race. Replace the brickyard with the brickyards rd course. Replace bristol\"s corners back to asphalt. [ISM] Revamp northwilksboro and the fans will come! Submitted by Tony on Mon 09/16/2013 - 23:18. Well we have heard these "rumors" before in regards to schedule changes and not much came of it. I clearly remember last year we heard rumors of the trucks going to Greenville or even Myrtle Beach, but nope they insisted instead to keep ramming mile and a half follow the leader races down our throats. It seems like the clowns in charge are so content with status quo they are afraid to do much of anything. A couple years ago they announced "major" or "drastic" changes when in fact all they did was swap some dates around and add another race to the horrendous Kansas track. Since ISC (na$car) and SMI (Bruton) own damn near everything, then we won't see much change. Submitted by John Peterson on Mon 09/16/2013 - 23:24. Submitted by sam on Tue 09/17/2013 - 02:59.
now just give one of the pocono races to Iowa and we'd be all set! Submitted by pb on Tue 09/17/2013 - 04:20. Interesting about Darlington. I bought tickets for next year's events. The seats haven't been assigned but the date was. Not that I'm complaining, just a bit odd. Submitted by Fireball Roberts on Tue 09/17/2013 - 06:03. Please leave the Dover race in place, and take one of the boring races away if you're going to Road America. Take Michigan, Kansas, New Hampshire, Chicago, Texas, or Pocono, but don't take away a date from a track that produces good racing. I still like the notion of starting and ending the season at Daytona. It makes perfect sense. Supposedly there is some deal with the France's and the City of Daytona Beach to keep the race there near July 4th, but it would make much more sense to have it there at the end of the year. Submitted by Scott Stine on Tue 09/17/2013 - 06:31. I will gladly add myself to the traffic and population crush to be in the countryside for that weekend. There is little to no accommodations in that area so camping/staying with friends/drive in plans will be important. Submitted by MICHAEL JOHNSON on Tue 09/17/2013 - 09:00. Huummm; whether this happens or not, I really like the idea of this schedule if I may tweak just a little. I ESPECIALLY like the idea of going to FL and the western part of the country the first two months of the season as well as ending the season out west in November. The only change I would consider is perhaps swapping Bristol and Texas in the spring. Bristol weather in mid-March can still sting and both tracks being owned by Speedway Motorsports, I know Bruton Smith is not shy about trying something different. Moving on, my favorite change is putting Darlington back where it belongs, and THAT is LABOR DAY week-end. I am almost 64 years old and since I was 5 or 6 years old, Labor Day meant racing at Darlington!! I went for years and yes it was hot as hell, not to mention humid and loud under the old front stretch covered grandstand, but I looked forward to it every year. I commend Mr. Browning for taking a date NASCAR gave them that was seldom ever used and he and his staff worked hard and made prime rib out of hamburger. Congratulations, because it is MY opinion NASCAR issued that date in hopes of "killing off" that race track. (I may be wrong & if so, apologies to NASCAR) As for Atlanta, I saw a lot of empty seats although I know the track worked very hard to promote the race, yet there were so many things going on elsewhere in the city and surrounding areas that the track suffered. The spring may not be quite as competitive for the sports dollars. Submitted by KHFan29 on Tue 09/17/2013 - 12:57. You can scratch Darlington and Atlanta to swap races because both tracks have been conform to keep their current dates for next year. Submitted by Josh on Tue 09/17/2013 - 16:06. The only move that is a "must do" is the move of the Southern 500 back to Labor Day. Submitted by Bryan on Tue 09/17/2013 - 19:51. Wait, so I thought Atlanta (Labor Day) and Darlington have already had their Cup dates confirmed for 2014, which are unchanged from 2013. 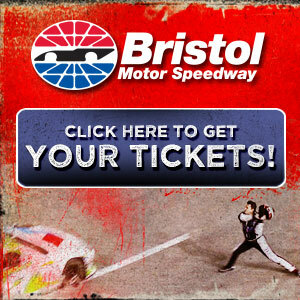 Personally, I would like to see Bristol in the Chase. Also, I have never understood why Championship weekend is at Homestead. Phoenix would be a step in the right direction, but wrapping up at Las Vegas makes the most sense to me. Submitted by Matt_33FL on Tue 09/17/2013 - 20:21. Submitted by Joe on Wed 09/18/2013 - 08:50. 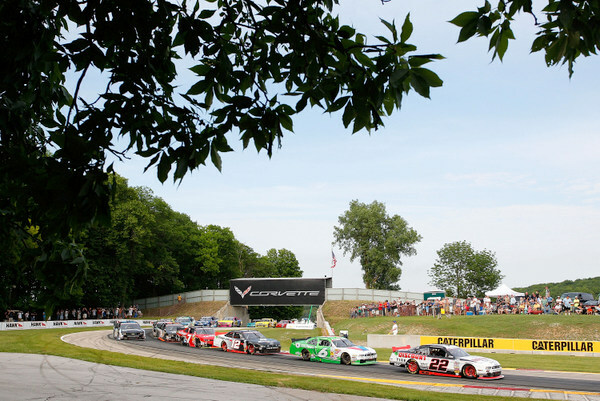 Something seems weird about NASCAR giving Road America a Cup date. NASCAR hasn't given a new date to a non-ISC or SMI owned track since Vegas in '98 (although the track was later bought by SMI), and I don't think they'd start now. I can't see Dover Motorsports letting go of a race without a whale of a fight or unless there's some kind of acquisition about to take place somewhere. The two Cup dates are the last pieces of Dover Motorsport's empire - it's a public company that's struggling, and losing a Cup race could push it over the edge. Road America would make a great addition to the series - would they want that race to be a week after Michigan though? I have to wonder how much a Road America race would cut into Michigan's ticket sales. A fall race at Road America during the chase would be a thing of beauty. I can see Darlington's date going back to the traditional Labor Day weekend - the staff at the track has worked hard to sell tickets and keep the race (and track) alive. Atlanta - on the other hand - hasn't. In fact - I wouldn't be surprised to see SMI close the track in the next year or two and move the date, possibly to Vegas as a second date. Homestead moving to a spring date wouldn't surprise me. It's been a tough market for NASCAR, and they may find it easier to sell tickets for a March race. Submitted by Tony Geinzer on Wed 09/18/2013 - 15:03. I am sure that THIS could be the last time Sprint Cup could run Dover, as that Fall Date could be an Off Week Next Fall if Dover doesn't shore up affairs. Submitted by Calhoun on Fri 09/20/2013 - 14:35. We hope that NaPa changes their mind, MWR isn`t the only team trying to fix the outcome of races ~! Submitted by woody on Sat 09/21/2013 - 06:59. I work for D.I.S. based out of Daytona. I can tell you Daytona then 2nd race in Homestead will never happen. There is tons of equipment shared by the tracks, it would be impossible to move it all and have it set up in one week. But I do like the idea of ending the season in Daytona. Submitted by david on Sun 09/22/2013 - 17:06.
the season ending race will never be in daytona because the july race. and to end in vegas is not happening; even after the race they still have to go to the shop. Submitted by Craig on Sun 10/06/2013 - 11:36. How about a THIRD race at Daytona - the week after Thanksgiving - with a twist? Bring back the BEACH course for one weekend in early December! That is typically a slow time there too so it would also bring much needed tourism dollars to Daytona Beach in the slow period between Thanksgiving and Christmas, and the impact on the beach would be minimized by closing a section for a race weekend.